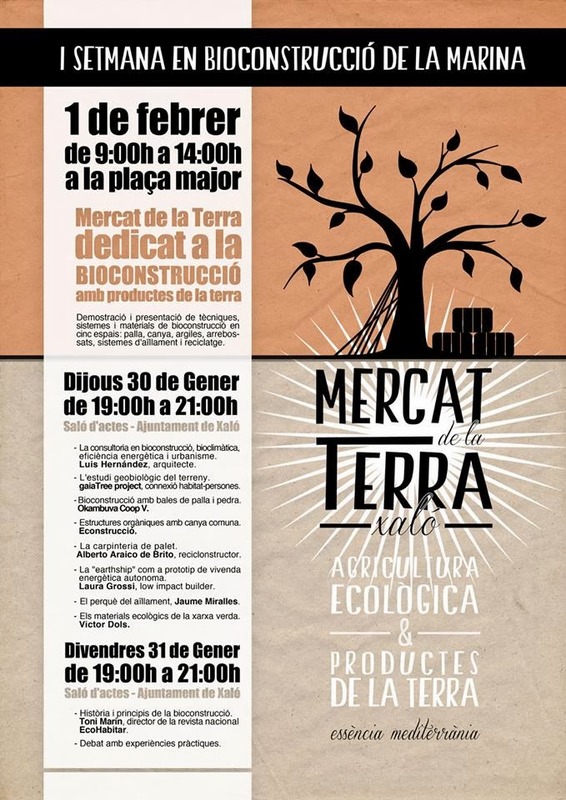 Today is starting in Xaló (La Marina Alta) the First Bioconstruction Week that has been organised by "el Mercat de la Terra". Thursday 30: Lectures (19-21h), at the City Hall. Friday 31: Lecture and debate (19-21h), Toni Marín (Ecohabitat's director) he will be talking about the bioconstruction history and principles. at the City Hall. If you are interested in biocontruction and sustainable architecture, you can't miss it?